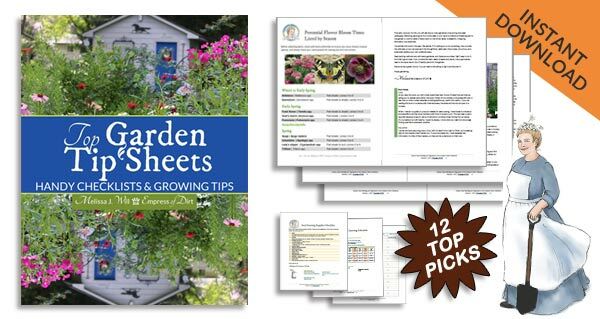 Throw out that huge list of summer garden chores and indulge in nature! 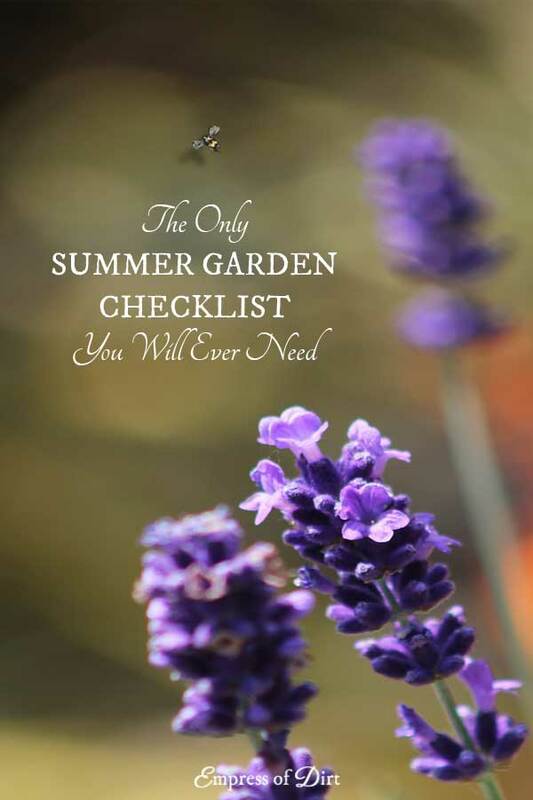 This is my essential summer garden checklist and perhaps it is your too? 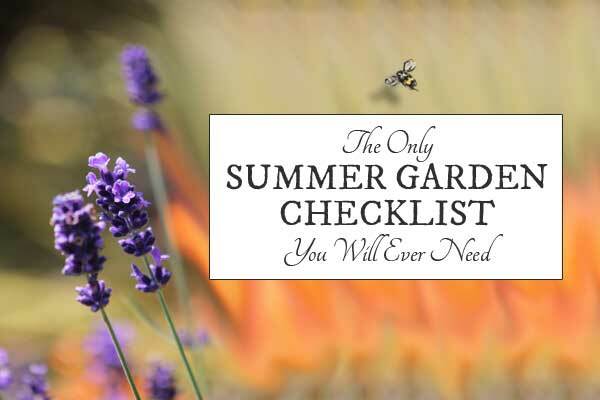 The regular to-do list is full of mundane things like weeding, pruning, moving plants, adding trellises and whatnot, but the stuff that really matters is all right here. For more inspiration, you can other find other favourite garden quotes and ideas here. My husband said this after I bemoaned the number of garden tasks on my to-do list and how slowly I’m working through them. But. But. There’s so much I want to get done! Besides the regular maintenance, there’s so much more needed to turn this plain garden into the thriving cottage/kitchen/secret garden of my dreams. Yet, the harder I push, the more I miss out on. And I mean this in the best way. We don’t have to grow the food. Or add new flowers or trees. Or feed the birds, argue with the squirrels, or cut the grass. It will all carry on one way or another with or without us. What do I really want to be doing? Why move that dirt pile when I can watch bees collect pollen? Why pull weeds in the hot sun when I can lay on the porch swing and watch the hummingbirds? Why train the grapevine along the trellis when it will fruit no matter what? Why clean up the pond? I can’t now—it’s full of new tadpoles! Yes, it’s nice when things are in order and they look pristine (in wild, garden way), but the truth is, it can all wait and some of it should wait (will I get new frogs?). And, more accurately, it doesn’t really need me. It’s time to put that formal to-do list to one side and stop pretending I must get stuff done. I never manage much so no sense in pretending I’ll conquer it all. The garden will get messy. I will happily loaf off. And indulge in the true essentials—watching it all unfold. For me, this means lots of no-maintenance local (and adapted) plants plus fruit and veg I can’t get fresh from the market. Whether I fret or not, they will hold their annual conference on the cherry tree leaves. Might as well laugh. Stop saving them for others. Catch them when they are warm from the sun and perfectly ripe. This perfect moment doesn’t wait. Indulge. How many songs are there? How many baby wrens will hatch in the new nesting box? These important questions are best contemplated on a cushioned lounge chair with eyes shut. Enjoy the doing not the getting done. This seems to be a recurring theme. Listen to the peepers. Be there when the first fireflies appear. In other words, the essentials. Thank you for the reminder, I know I have to be reminded to stop and smell the roses ? I love my garden but something always comes in the way and I have to stop for awhile? Melissa, this article could not have come at a better time. I am feeling overwhelmed. So much to do , so little time. Too hot. My fave was “play in the dirt”. 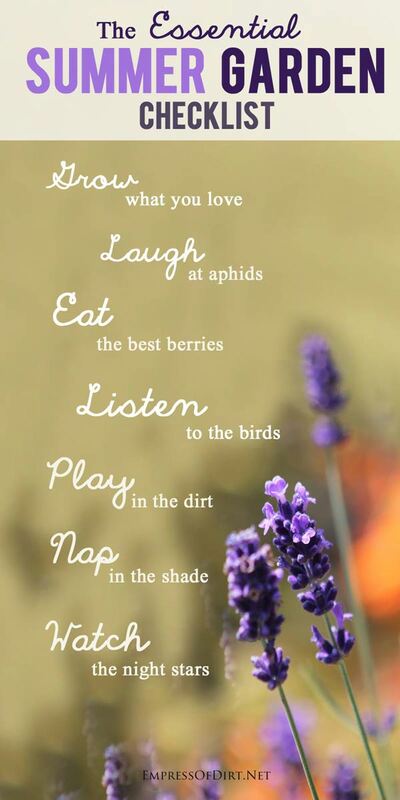 I’m still struggling with “laugh at the aphids”…Grrrrrr! Thanks for always keeping us grounded. Have an outrageous day. Your list is a great saying for all of us that sometimes forget to “smell the roses” we are tending to. Thanks Melissa for this great reminder. What a truly lovely list. thanks for this reminder! Summer isn’t even here and I already needed to read your words, Melissa, to indulge in nature. I know how wonderful I feel when I do. So I’m going to post your list to keep me in check! Thanks so much for your inspiration!